Think you might have missed the boat on planning a great summer getaway? Don’t worry. Summer may be in full swing, but it’s not too late to plan a summer vacation if you think you’ve missed out on the good deals. 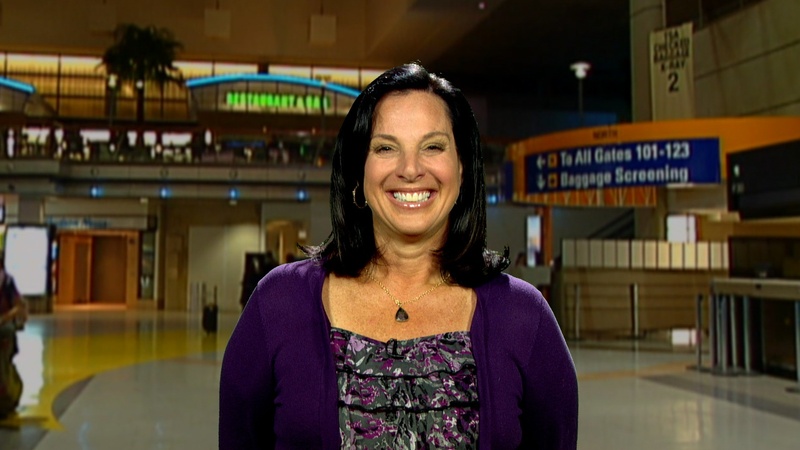 From road trips to air travel, Emily Kaufman, the Travel Mom, has the 411 on keeping the kids entertained when you travel, where to get last minute travel deals, great destinations, where to stay when you get there, and how families can pack the most value into their vacation dollars. Let Technology Keep the Kids Entertained When You Travel. Emily is a big fan of a boredom buster bag filled with snacks, games, books and technology to keep kids entertained on road trips or long flights. So what’s her latest must have technology essential to pack? A touch tablet powered by Windows 8 – like the Acer Iconia W3. It’s a great in-car or in-flight entertainment center for the kids to watch movies or play games on since it can lie flat on any surface and two people can touch the screen at the same time. The Acer Iconia W3 eliminates excess devices like eReaders, MP3 players and gaming devices since it’s all-in-one. The cool thing about Windows 8 is that it’s made for touch, making it easier than ever for kids and parents to watch movies, play games and surf the web. Find out more at MicrosoftStore.com. Last Minute Deals Can Be Found Online. It’s not too late to book your summer vacation if you haven’t already and if you’re looking to get the most bang for your buck, American Express Travel is a great one-stop-shop to book your last minute summer getaway. Go online to check out the current deals or you can speak with one of their travel agents, that are like your own personal travel counselor, for a more customized experience. Although many people associate travel counselors with high costs and lots of hassle, it’s quite actually the opposite since they specialize in specific destinations with an intimate knowledge of each place that turns ordinary vacations into something really special whether it’s a vineyard tour of Sonoma, a Hawaii vacation or a river cruise in the U.S. or Europe, they can create a personalized vacation for your budget. Go to travelinsiders.americanexpress.com. Don’t Wait to Book a Hawaii Vacation – No Passport Needed. Hawai‘i, the Big Island, has long been regarded as the island of adventure and inspiration for its unmatched natural beauty, warm aloha spirit found in its island people, and unforgettable experiences and now is a great time to visit. Whether exploring by earth, sea, or sky, Hawai‘i Island offers a great value for families this summer and heading into the fall and is packed with inspiring experiences that are perfect for travelers of all ages. The youngest island in the Hawaiian chain and by far the biggest, it has five national parks including renowned Hawai‘i Volcanoes National Park, featuring one of the world’s most active volcanoes. It’s also where you’ll find amazing stargazing atop Maunakea, the tallest sea mountain on the planet. You’ll find a diverse range of landscape from lush rainforests to volcanic deserts to beautiful white and black sand beaches and sometimes even snow-capped mountaintops. Hawai‘i Island has two international airports – located in Kona on the west, and Hilo on the east – which makes getting to the island easy from major U.S. gateway cities or the neighbor islands. Go to bigisland.org and plan your tropical vacation. Get 300% More Out Of Your Vacation. Embassy Suites is the hotel brand known for giving guests more with every stay, including two-room suites for families to spread out, free cooked-to-order breakfast each morning, and a complimentary evening reception every night. This summer, as part of their pledge to help families get 300% MORE enjoyment out of their vacations, they have partnered with the Association of Children’s Museums to create opportunities for families to learn and discover, with special perks at nearly 20 children’s museums across the country. One day a month, families staying at Embassy Suites in select cities will have access to special guest-only VIP offerings at local children’s museums like a discount at the gift shop, and some lucky families will even be surprised and delighted with free tickets! Visit www.EmbassySuites.com/300more for a full list of participating hotels, destination tips, and to book your next stay. Looking for ways to take that memorable summer vacation without breaking the bank? From airfare to hotel stays to baggage fees, vacation costs can add up. With rising fuel prices making road trips and air travel more expensive, a last minute summer vacation may seem impossible. However, The Travel Mom, Emily Kaufman, has ways to cut costs on that much-needed getaway without sacrificing a true vacation experience. Making simple tweaks can each save hundreds—even thousands—of dollars on your last minute summer vacation. Travel Tip #2: Look for giveaways and sweepstakes. In addition to cash back programs, hotels are offering some great incentives for summer travel. Now thru Labor Day Weekend – DoubleTree by Hilton has great summer hotel specials all over the country along with a Sweet Rewards Sweepstakes, where you can enter to win weekly getaway prizes every time you stay with them and a grand prize of up to 1,000,000 Hilton HHonors Bonus Points, their hotel loyalty program, that can be used anywhere in the world. It’s all part of sharing their new look and new name. And who doesn’t love those sweet chocolate chip cookies you get every time you check in at their hotels and resorts? (They’re celebrating the 25th anniversary of that sweet treat this year.) You can enter at doubletree.com/sweetrewards. Travel Tip #3: A little planning before you hit the road can save hundreds of dollars on your vacation. If you’re doing a road trip vacation, one of the easiest ways to save is bring your own meals and snacks for travel days and during your trip. Not only is it healthier than drive thrus, it’ll save you hundreds over a week long vacation. No one expects an emergency when you travel, like a broken arm or earthquake on vacation, but not having a plan for these possibilities can cost you hundreds, even thousands of dollars. Travel insurance covers monetary damages for costs like a trip cancellation, but travel assistance provides you with unexpected emergency medical transportation for everything from road trips and camping to cruises and international tours. On Call International has coverage any time you travel more than 50 miles from home including emergency evacuation to the hospital of your choice, regardless of medical necessity, and much more. A single trip membership is as little as $55 and can save you a bundle in the event of an emergency. You can get more info at OnCallInternational.com. Travel Tip #4: Travel to off-season destinations for best last minute summer travel deals. The best travel deals are usually going to be off-season places like ski resorts that have great hiking trails and biking in the summer. Also, many Caribbean locations have great deals during the peak of summer. It may be really hot & humid, but its always cool in the water. Travel Tip #5: Biggest savings tip most people don’t know about is a new online calculator to compare costs of a road trip vs. air travel to your destination. BeFrugal.com has the coolest online calculator to determine if it’s cheaper to drive or to fly. You just fill out your trip information – where you’re starting to where you’re going and how many people and it will do the math for you and show you a cost comparison of a road trip over airfares based on current gas prices, airfares, baggage fees, etc. It’s at befrugal.com/tools/fly-or-drive-calculator. BONUS Travel Tip: Check out the official tourism site of your destination for local savings & deals. You should do this BEFORE you go, but great local deals can be found at most destinations by going to the official visitors (or CVB) website. Also, most hotels have the local magazines with great local coupons for all sorts of savings at local attractions and restaurants. You are currently browsing the archives for the Summer Vacation Savings category.